The 2017-2018 SIA Annual Report is now available! 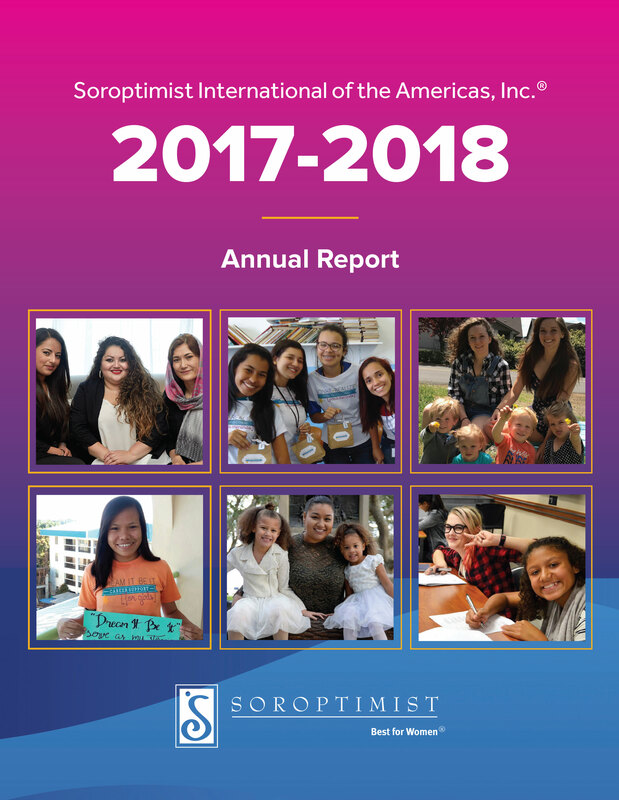 Thanks to the dedicated work of our donors, members and supporters, Soroptimist had an incredible year. Together, we are helping women and girls live full and productive lives. We are proud to share highlights of our efforts in this report.